Neon Switch is a cool, play free game at templerun3.co! Your objective is to advance vertically as far as possible leaving all obstacles behind. How it works? You control a little shining coloured dot that jumps upwards every time you tap the screen. You can penetrate obstacles only through walls that match your current colour. That means, if you are currently red, you will loose when touching a yellow wall. Find out how far you can get! Have fun! 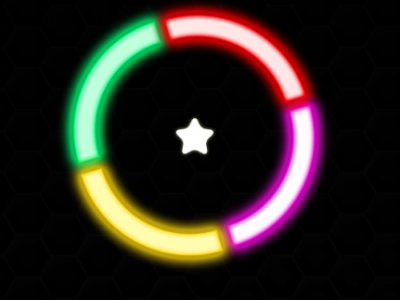 You control a little shining coloured dot that jumps upwards every time you tap the screen. ... That means, if you are currently red, you will loose when touching a yellow wall.